Home > About > News and Views > Sugar-free and sweet as can be…or not? Sugar-free and sweet as can be…or not? Sweets and chocolates labelled ‘sugar-free’ or ‘no-sugar-added’ appear in abundance around Easter. Whether described as ‘diabetic-friendly’ or marketed as a healthier option than traditional confectionery, the market for these options remains small so it may be tempting to stock up when you see them in-store. But it’s important to know what you might be getting into – and indeed, what might be getting into you – when you reach for the sugar-free treats. Key ingredients in sugar-free chocolates and candies can affect both your glucose levels and your digestion, so it’s important to find a balance if these are part of your diet. While sugar-free or no-sugar-added confectionery doesn’t have refined sugar, that doesn’t mean it is free of carbohydrates. Of the major components of foods we eat, namely, fats, proteins and carbohydrates, carbohydrates have the most direct impact on glucose levels1. If you look carefully at the packaging for sugar-free sweets, you’ll see the number of carbohydrates per 100 g of the product (possibly also per serving) listed on the back of the packet. If a diet soft drink’s label says it has 0 g of carbohydrates, it’s truly not going to affect your glucose levels. But if a sugar-free chocolate bar has 35 g carbohydrates, your blood sugar will show it. Sugar alcohols tend to be digested more slowly than regular sugar, so people with type 2 diabetes who do not take insulin at meals may find they don’t see much of an impact on their glucose levels after eating small amounts. But people who take insulin at meals – whether with type 1 or type 2 diabetes – need to consider whether and when to give insulin to cover these carbs, and how much to dose, because sugar alcohols are not absorbed in the same way as carbohydrates from sugar3. It’s worth chatting to a friendly dietitian with experience in diabetes to get personalised advice, but an article [link] from the University of California at San Francisco gives some helpful general principles. 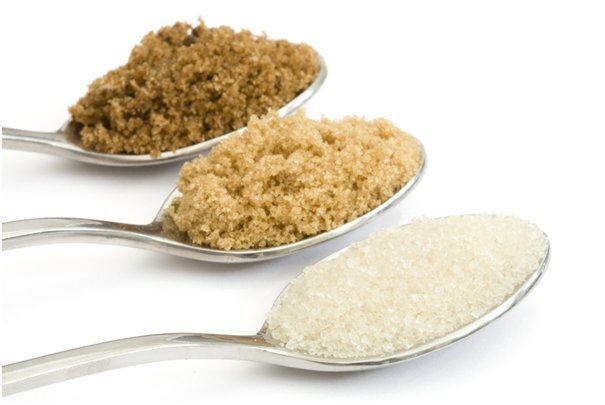 Sugar alcohols may not be the answer to all our sweet cravings, but that doesn’t mean they are out of the question. For example, if sugar-free cough sweets work well for you, by all means fit them into your diet and enjoy them. But if you’re torn between the regular and the sugar-free options in the sweets aisle of your local supermarket, you may be better off with the original version. As this video link from Diabetes.co.uk explains, there are no regulations to ensure sugar-free or no-sugar added foods have any actual health benefits. Nor are they necessarily lower in calories. But the ‘diabetic’ version of your favourite sweet may make your purse a little lighter, as they are often more expensive.